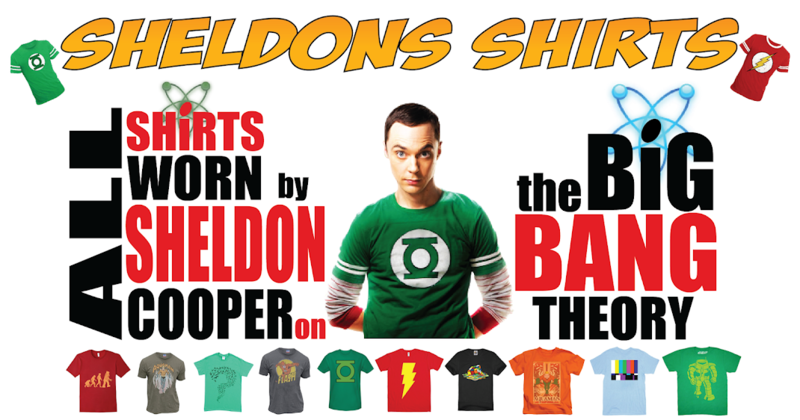 While I couldn't swear to it, I'm fairly certain that this Sheldon Cooper shirt is in reference to none other that one of Batman's most villainous foes (and one of my personal favorites), The Riddler. It's a green shirt with a design consisting of a colony of bats that are flying around in the shape of a question mark. Below is a link to purchase the t-shirt from Amazon.com. S01 E17: "The Tangerine Factor"
S03 E08: "The Adhesive Duck Deficiency"